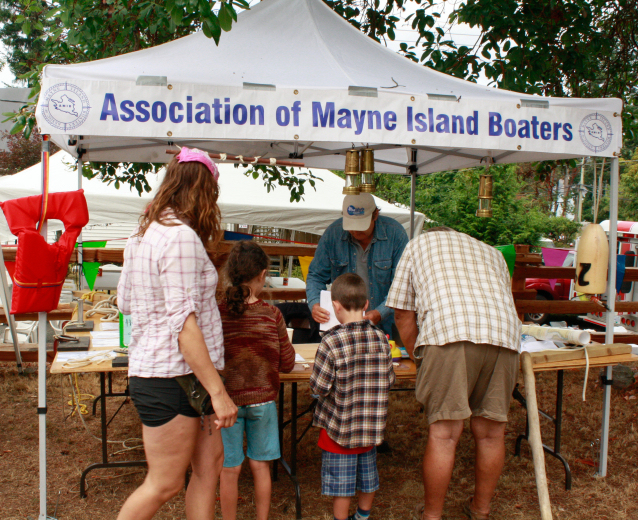 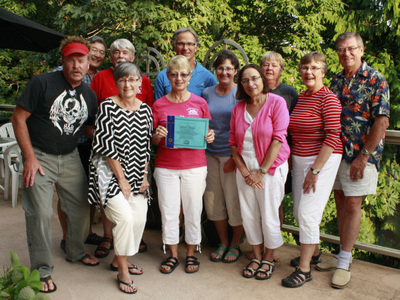 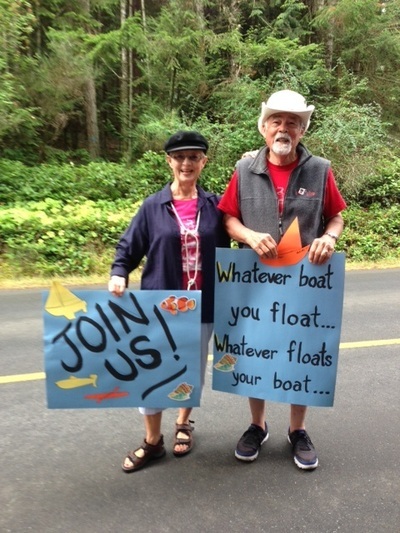 John and Thomi Glover leading the way with our slogan, "Whatever boat you float... whatever floats your boat" and an invitation to "Join Us." 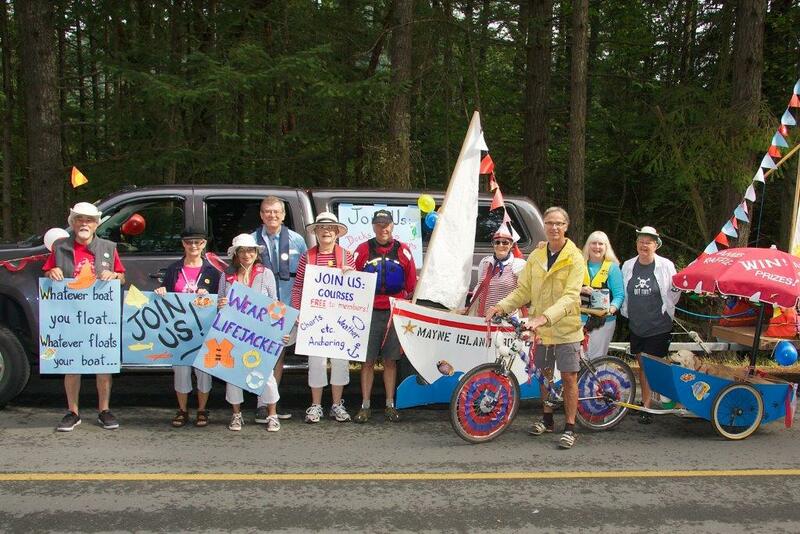 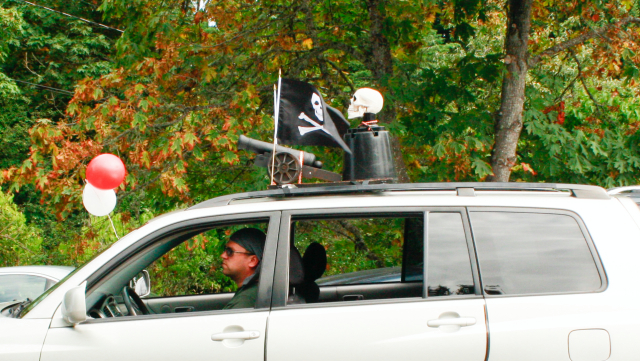 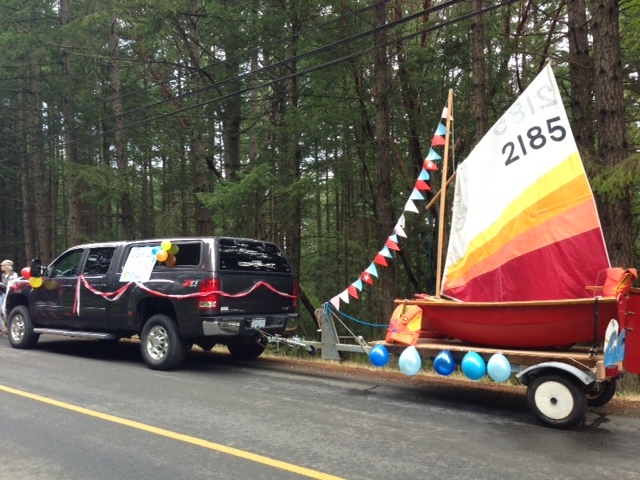 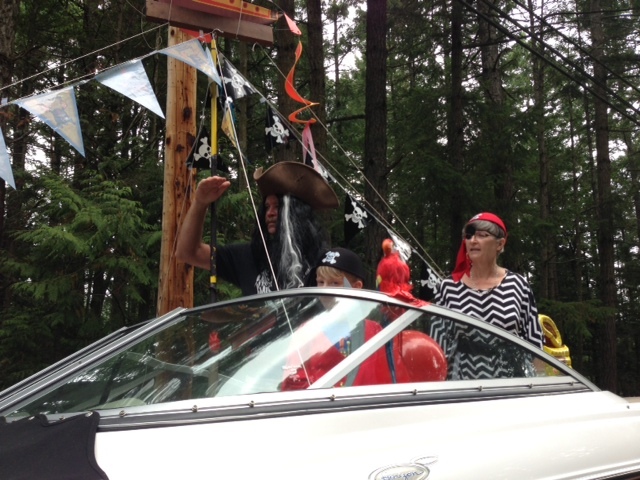 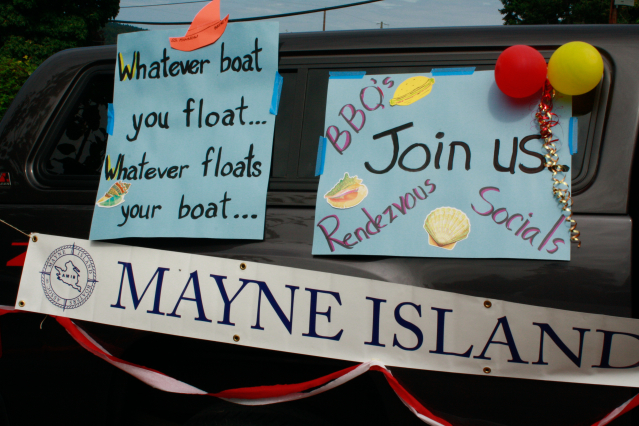 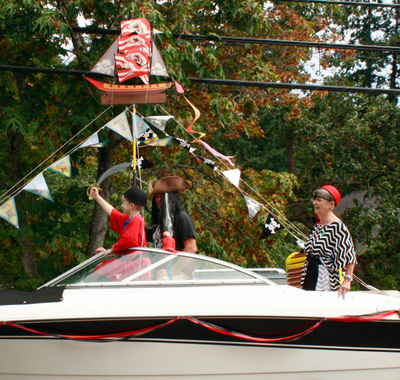 Bryan Westby in his decorated truck pulling a sailboat that was built by former AMIB Pres. 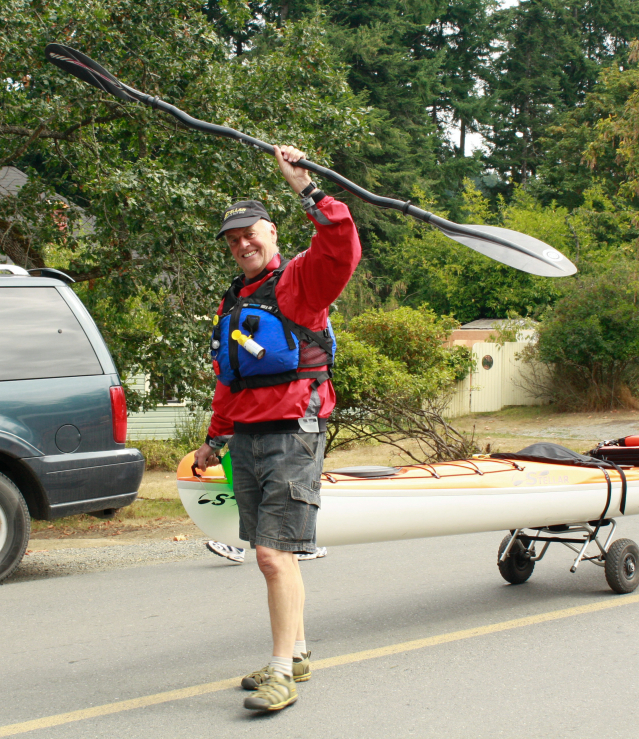 Al Maxwell. 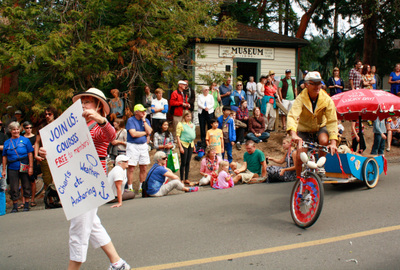 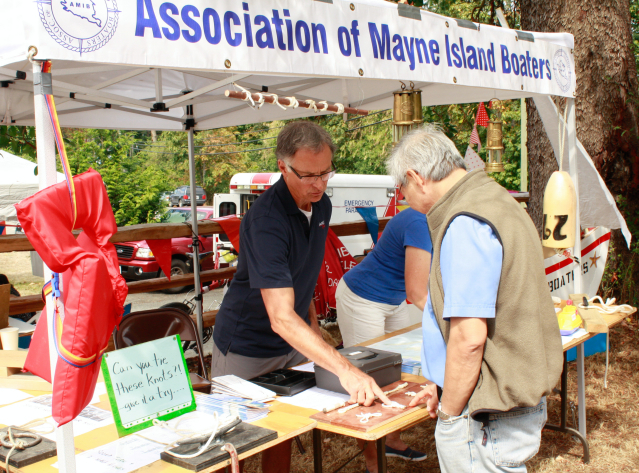 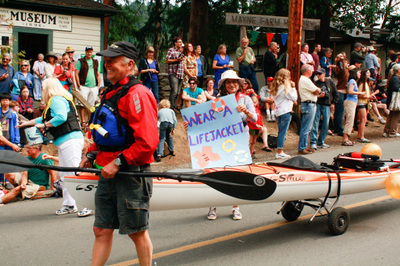 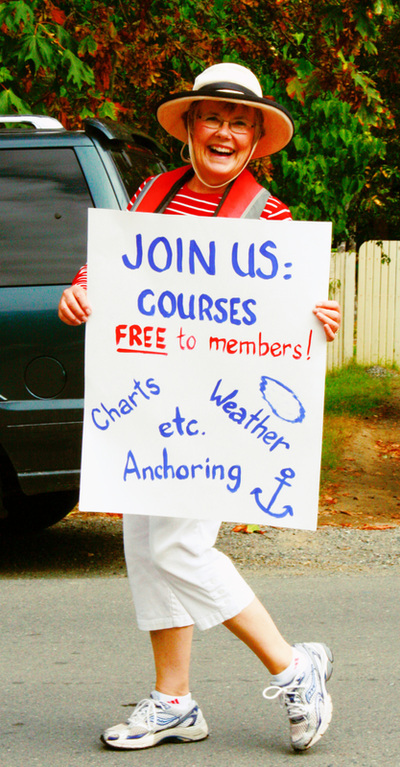 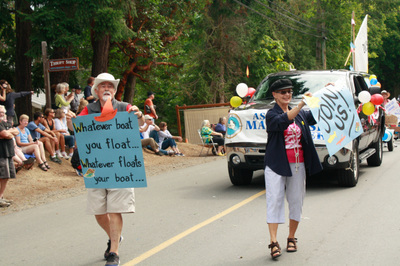 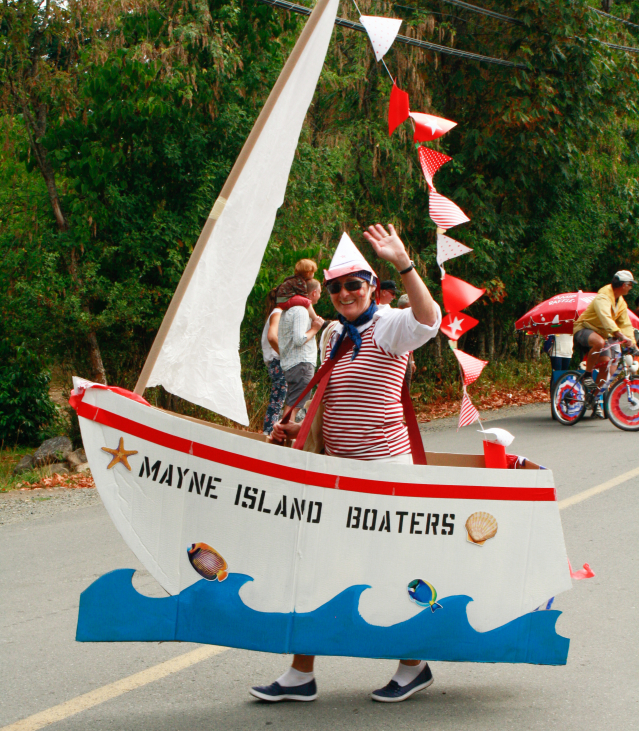 Elspeth Westby ﻿looking very nautical as she paraded a sign urging folks to sign up for boating courses. 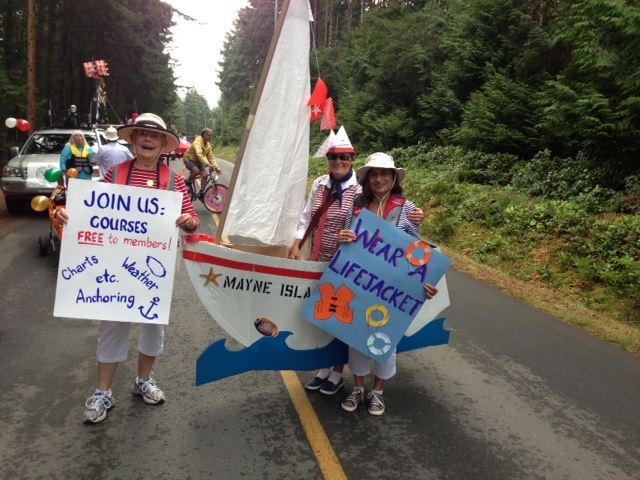 Sharon Bunnin cruising down the hill wearing a sailboat complete with mainsail and pennants. 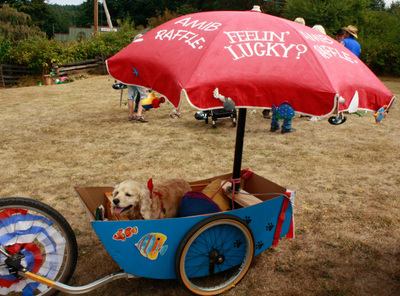 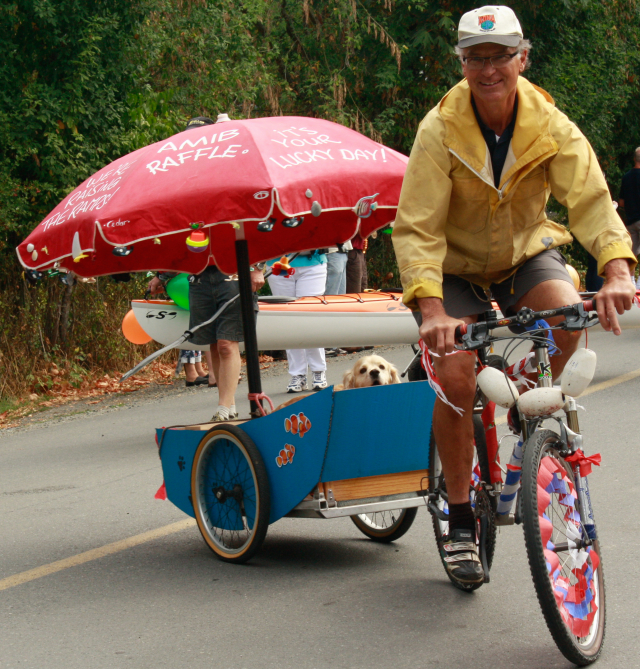 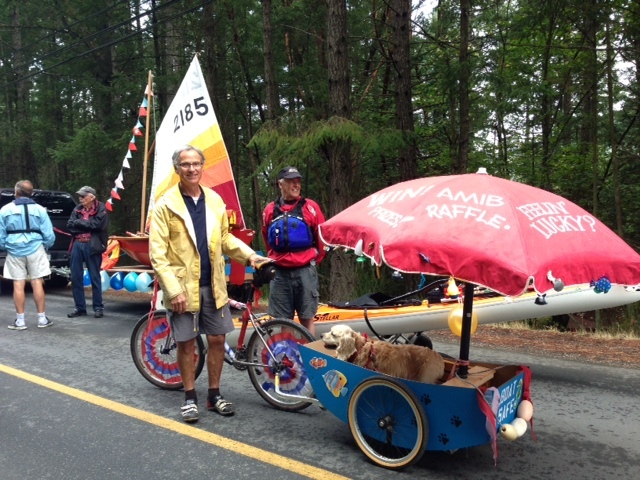 Carl Bunnin cycling down pulling a customized cart carrying their dog, Buddy under a shade umbrella . Completely decked out in kayaking gear including paddle, Allen Slade pulling his kayak on its cradle. 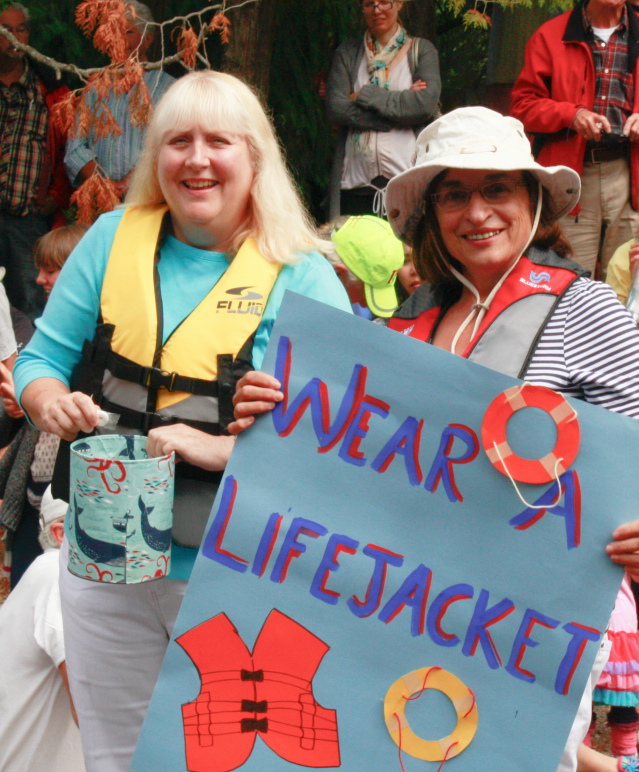 Anita Colley and Judy Kiyooka modelling the latest in life jackets. 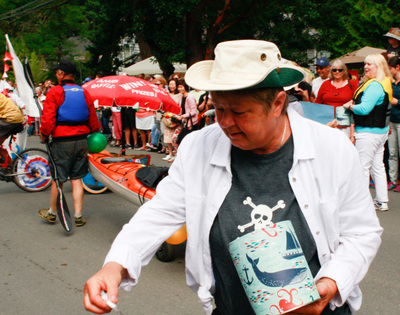 June Hamer passing out candies - lifesavers - of course. 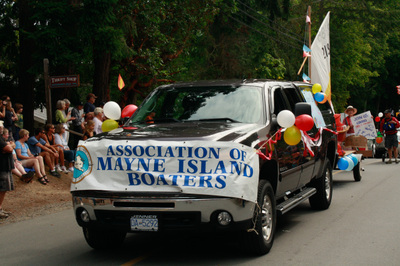 ﻿﻿Click on images to enlarge. 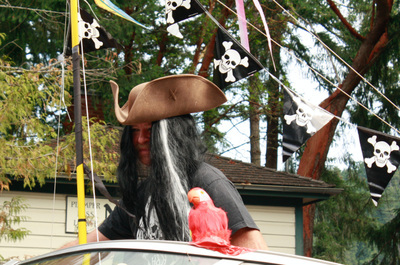 ﻿To view additional photos of the Fall Fair go to﻿﻿ Toby Snelgrove's gallery. 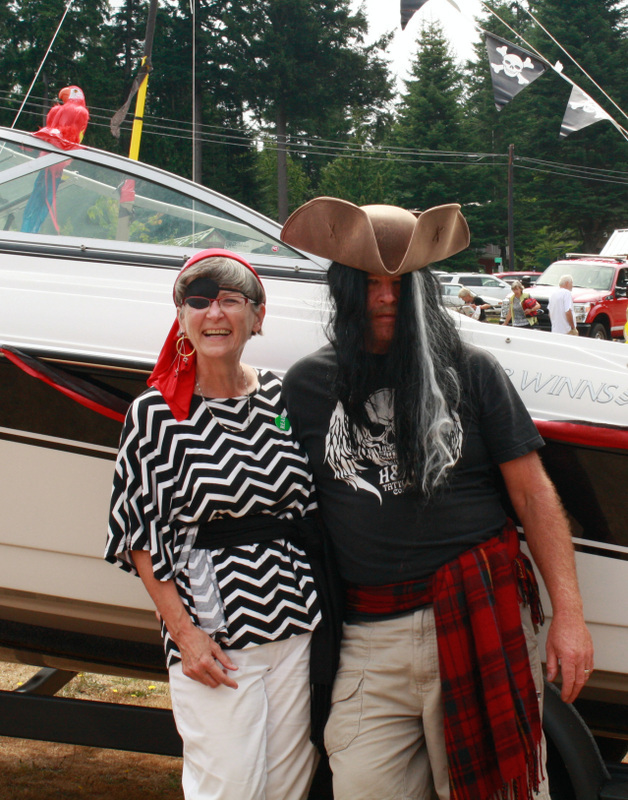 To view additional photos of the Fall Fair go to Toby Snelgrove's gallery.